Product #17286 | SKU LCSG1BP | 0.0 (no ratings yet) Thanks for your rating! Even a compact camcorder when combined with a full set of batteries and other accessories can add up to a significant amount of weight. The LCS-G1P is a truly durable, ergonomic solution that makes it easy to carry around a full set of kit. The LCS-G1BP's main compartment can carry any HDV or DVCAM hand-held or semi-shoulder-mount camcorder with a generous amount of supplied padding and rigid bottom panel to ensure the camcorder is held securely and comfortably. Even the interior colour is carefully chosen to be a bright yellow that makes it easier to find items even in low light. 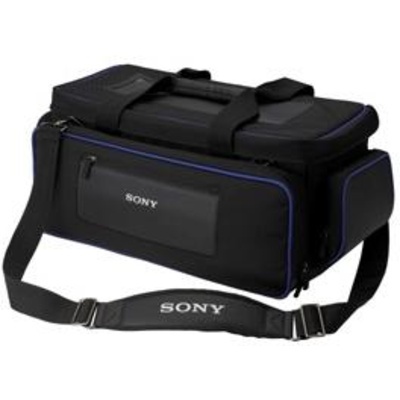 There are also a number of protective compartments within the main bag designed to hold a number of batteries, wide conversion lenses and many other accessories. Numerous external pockets also allow for the storage of even more accessories such as cables, tripod plates, battery chargers and more. Despite all the equipment it can store, the LCS-G1BP fully complies with standard carry-on regulations for international air travel.